REGULATORY certainty, slashing red tape and a continued freeze on royalties are pivotal to regional investment in resources across Queensland. That is the strong message Queensland Resources Council issued to both sides of politics yesterday, insisting they must support the industry's 309,500 full-time employees. CEO Ian Macfarlane's call came just hours after a leaked report into the viability of a coal-fired baseload power station for North Queensland, which the LNP and QRC say would reduce power prices across all regions. "We need a continued freeze on royalties because we saw a substantial rise a little over three years ago," he said. "We want regulatory stability in terms of the constant changes and particularly the introductions of new regulation, which includes reducing red tape. "We just seem to spend our entire time dealing with new regulations." When asked what specific certainty the state government needed to provide, Mr Macfarlane said it came down to good consultation. "There have been times in the past three years where it (consultation) hasn't been good," he said. "There's got to be an impact statement done on every new piece of investment. "An investment means jobs and in the end what we need most in the regions is jobs." While Premier Annastacia Palaszczuk has continued to dismiss claims the north needs a new power station, Mr Macfarlane insisted the infrastructure would bring down prices for everyone in Queensland. "It's a win for everyone. Producing more, cleaner baseload electricity is important," he said. In Cairns yesterday, the Premier said she was aware of the Energy Edge report the Queensland Energy Department had commissioned. But her Energy Minister Mark Bailey was only made aware of it on Tuesday. "There are hundreds of reports that are commissioned all the time," the Premier said. "The report is very clear - it says a new coal-fired power station would keep electricity prices high for 40 years." Opposition Leader Tim Nicholls said, however, the plant would halve electricity prices from $100 per megawatt hour to $50. He questioned why Labor was denying the regions and North Queensland cheap power. "It would reduce emissions for Queensland by 10 per cent and provide reliable, baseload power," he said. 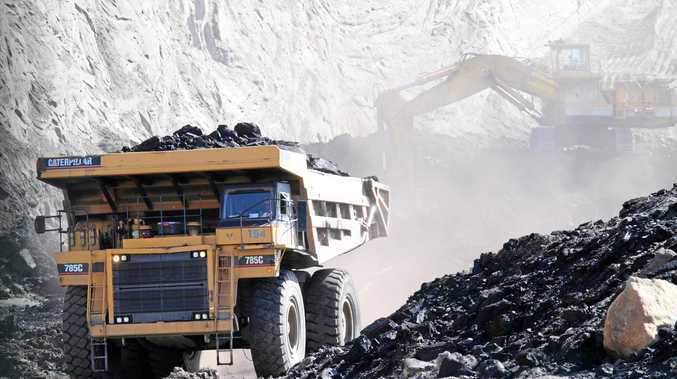 Deputy Leader of the Opposition Deb Frecklington said the LNP would always support Queensland's resources sector. "Queensland should be an economic powerhouse," she said.